Dublin, Ireland, November 2016 – Quest are delighted to have been awarded the contract to provide Dublin City Council (DCC) with its Corporate Grant Management System for a minimum term of three years. ISO 27001 is the recognized international standard for Information Security Management. Quest have recently been formally audited and certified compliant with the standard. 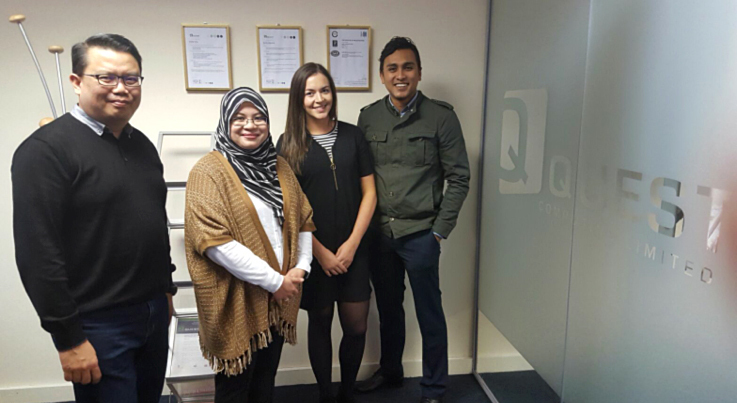 Quest were delighted to have a visit this month from Mosque Shared Services (MSS). MSS is a committee team set up by MUIS, the Islamic Religious Council of Singapore, as the main provider of shared financial services solution for the mosque sector In Singapore. It supports the council in providing the necessary administration platforms for MUIS programs and services that are delivered at the mosques. They disburse a variety of grants to the mosque sector. 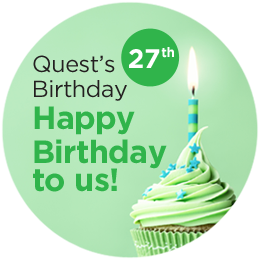 Happy Birthday to Us: Quest turns 27! 27 years ago today, Quest Computing Ltd. was launched with a daunting mission: to design and develop inspirational, business critical software systems for public and private sector organisations. Quest has built a strong reputation of providing resilient solutions to large domestic and international organisations. One such system created by Quest enables the Health Service Executive (HSE) to process in excess of 60 million transactions each year in Ireland. A key underlying foundation to our reputation was the achievement of ISO:9001 quality standard in 1994 which we have maintained for the last 22 years.